Help : Set Currency and decide if this for AR (sales) Invoices or AP (vendor) invoices. Optionally enter a Control amount. Control Amount If not zero, the Debit amount of the document must be equal this amount If the control amount is zero, no check is performed. Otherwise the total Debit amount must be equal to the control amount, before the document is processed. 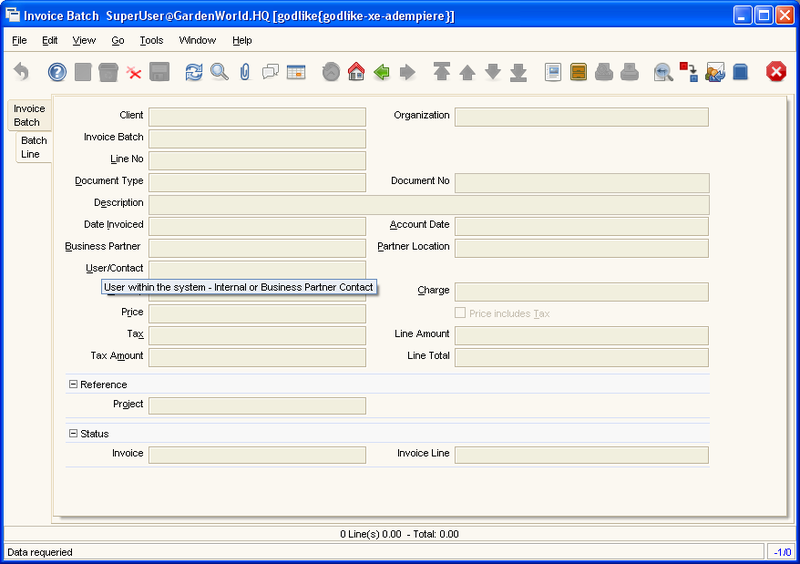 Help : A new invoice is created, if there is a different Document Number, Business Partner or Location (address). 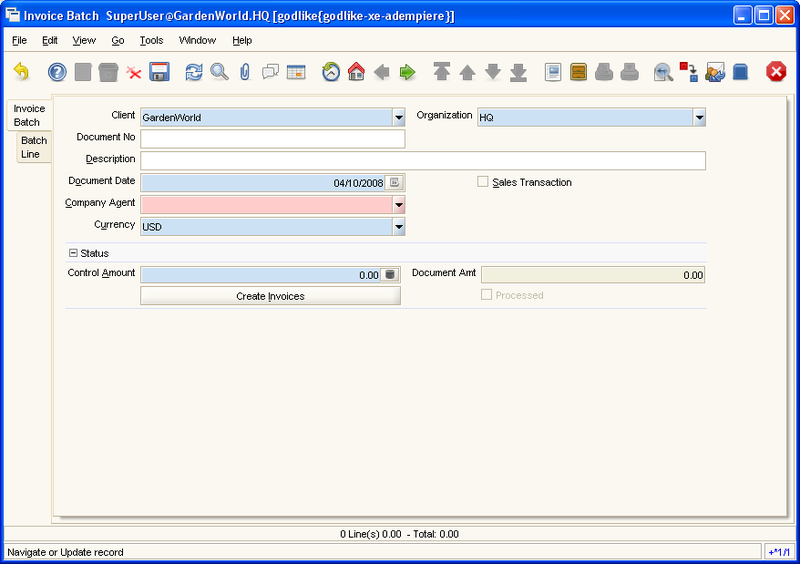 Note that the Document Number may be overwritten - depending on the Number control of the selected Document Type.